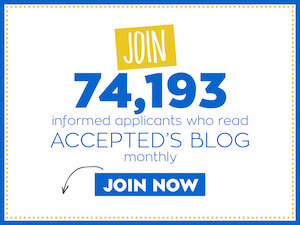 Applicants turn to Accepted.com as a source of reliable information and valuable advice on the MBA admissions process. As a member of the Association of International Graduate Admissions Consultants, we are conducting a survey to help us better understand our readers’ goals and needs. We’d like to invite all of our readers to share their school selection priorities and views on the MBA application process. This online survey should take just 10 minutes to complete. We would love to receive as many responses as possible before the closing date of Friday, April 9th – and will be giving away an iPod Touch and two iPod Shuffles as a token of our gratitude! We’ll also be sharing the results of the survey this spring to help candidates better understand the nature of today’s applicant pool. Simply click here to begin. http://surveys.marketpointsinc.com/mba10a.asp? Last updated on March 24, 2010.